Stephanie Grosser, senior adviser of data technology and communications at USAID’s Development Credit Authority. 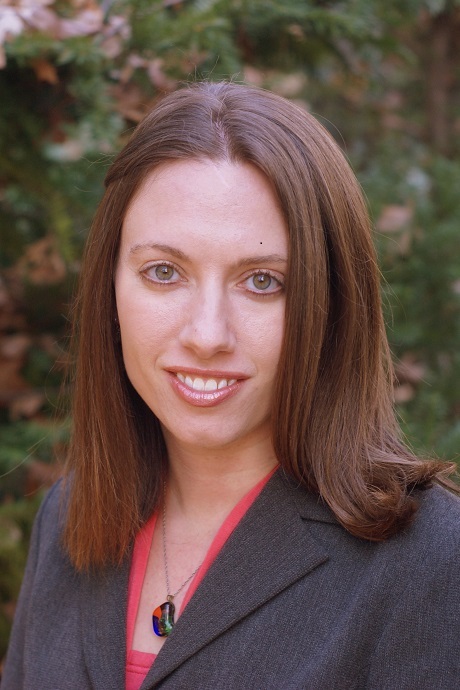 Stephanie Grosser, senior adviser of data technology and communications at USAID’s Development Credit Authority, is a former Presidential Management Fellow and this week’s FedScoop contributor. Anyone who has tried knows that landing a position in the U.S. government can be challenging. That is why every year, thousands of advanced-degree graduates compete for one of the coveted spots as a Presidential Management Fellow, a program designed to develop leaders in government well beyond the two-year fellowship. Three years ago, after completing my own advanced degree from Johns Hopkins University, I was elated to have secured a PMF position at the U.S. Agency for International Development. In total, 9,000 graduate students applied my year, and only 574 people made it through the finalist round to be placed in government. But as the PMF speaker at my class’s recent graduation, I was not looking out at 574 professionals. Because by the time of graduation, three years after we were placed at our agencies, not all PMFs had chosen to stay. These were the top of their graduate schools, people passionate about government service. But many chose other careers, to return to school, or to start their own businesses. They didn’t choose government. Despite the red tape that comes from working in a bureaucracy as large as the U.S. government, I’m not entirely convinced the government should take it personally. Many of us expected change to happen overnight. We thought we would be handed significant opportunities to prove ourselves. And we thought we would be given leadership roles once we did. But the PMFs who graduated into permanent federal positions know government doesn’t work like that. We know we have to identify and pursue our own opportunities to make a difference, even when it’s not spelled out in our job descriptions. As it turns out, the most challenging experiences I’ve had in the workforce, the frustrations that left me on the verge of quitting, have been the turning points in my career that have led to my greatest personal growth and professional success. I wouldn’t have known that had I quit. I was recently inspired by Jiro Ono, an 86-year old sushi chef in Tokyo. Though he is considered one of the world’s best sushi chefs, he still doesn’t believe he’s perfected the art of sushi making. Every day, he repeats the same processes in an unrelenting pursuit of perfection. Jiro’s way of being seems so contrary to Washington’s ambitious culture where we feel constant pressure to find our next job. According to a Future Workplace survey highlighted by Forbes, 91 percent of millennials expect to stay in a job for less than three years. And the words of this sushi master made me wonder: What is our generation sacrificing by changing careers every few years? Those of us who want to change government, fix inefficiencies, have come to realize these things don’t happen in a two- or three-year stint. These fixes are hard — they require us to stick with it. Our political leaders inject new energy into the bureaucracy and make announcements that drive the direction of our government. Despite having worked for the last three years in communications, managing more than my fair share of these announcements, I know — we all know — announcing something is not success. Success comes from implementation. This takes place for years after our political leaders leave. That is where Jiro comes in. That is where the civil service comes in. When we started as PMFs, we thought contributing to and improving government from the inside would be easy. That once we got in, past the long application process, we would have all the tools and respect we needed to lead. But it wasn’t easy. And many of us were surprised to find it was just as hard to navigate our government from the inside as it was from the outside. But those of us who have stayed have figured out leadership doesn’t only happen from the top. Becoming a leader in government means having the fresh thinking to do things differently and the drive to get to yes. One year ago, I co-led USAID’s first-ever crowdsourcing event to open a USAID data set. I wanted to use public volunteers to geocode a data set so we could map it and make the data public. Why not harness the energy of citizens wanting to partner with their government? I quickly found out why not. The government can’t use free labor, displace government employees or release data that is not high quality or trustworthy. And why should we expose ourselves to criticism? But I didn’t take no as the final answer. I proved we could find a way to address these concerns and move forward with this new approach. By opening government, we are allowing the world to work with us to solve global challenges. We no longer have the time or money to work in a silo. So I got to yes. And the public geocoded the entire data set of more than 10,000 records in a mere 16 hours — at a success rate higher than a computer algorithm. We mapped and opened the data two weeks later. Expectations from the U.S. public are growing, even as government resources are shrinking. This requires us to think differently about our problems: to try new approaches that can yield greater results. We become leaders by mastering an art. We become leaders by convincing people to do things differently. We become leaders by getting to yes. I know our government will be greater and our country will be stronger with our patience to gain the required experience to be great leaders. We just need to be patient with change, and commit ourselves to making it.